I am currently reading a couple of new books on those marauding seafarers the Vikings. The first I bought from a second hand bookseller online. 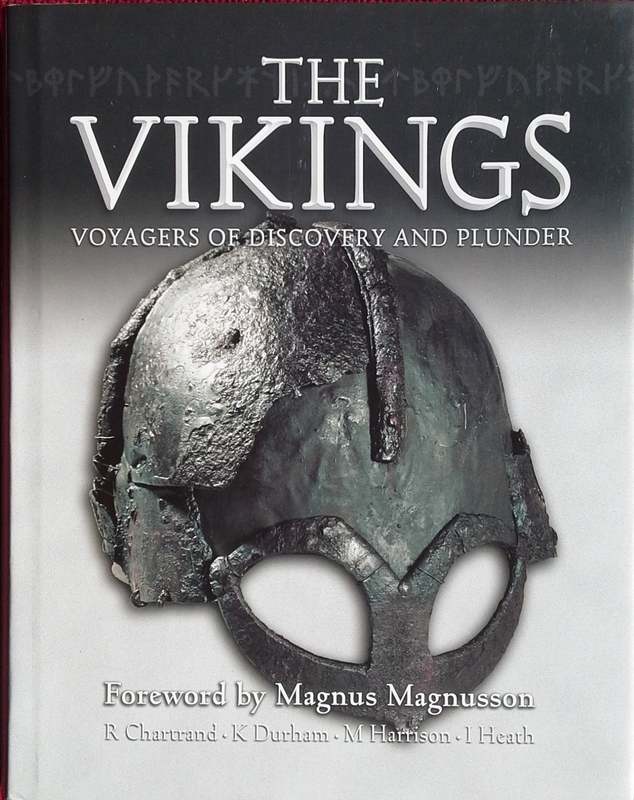 This book is a near mint hard back edition of “The Vikings Voyagers of Discovery and Plunder” by Mark Harrison, Keith Durham, Ian Heath and René Chartrand (Osprey, 2006). It is lavishly illustrated, including many plates by Angus McBride, and combines material from the previously published Osprey books “The Vikings” (Elite 3), “Viking Hersir 793-1066 A.D.” (Warrior 3), and “Viking Longship” (New Vanguard 47). Consequently the book provides a very good outline of Viking history, weapons and warfare. However, the section on the dreaded longships is interesting but a bit overly technical for non-seafaring types such as me. Overall it is a fascinating read and a very useful edition to have on the bookshelf. The second book was a somewhat serendipitous find on the sale table of a local newsagent. 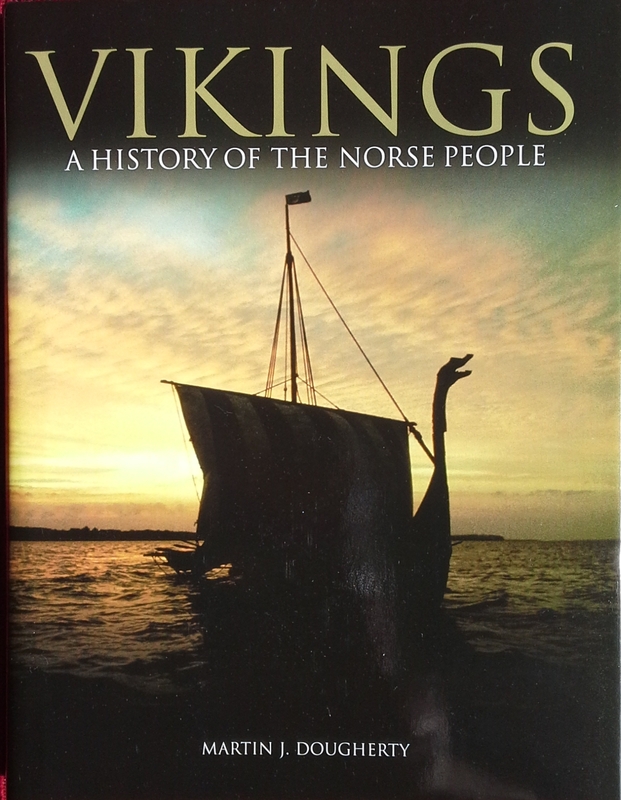 “Vikings a History of the Norse People” by Martin J. Dougherty (Amber, 2013) is another good but basic overview of Viking culture, history and warfare. This book features a surprising amount on weapons and fighting techniques and is also extravagantly illustrated (although some of the plates are a little archaic and anachronistic). Both books are a pleasure to read and are packed full of useful information on the Viking World.